On Thursday, reporters dug up evidence that Chelsea Clinton used an alias when checking into hotels. We can understand why she did. But we’re slightly baffled at the news that she chose “Diane Reynolds” when doing so — not only does the name evoke the image of a fusty failed karaoke singer, it’s also not that common. 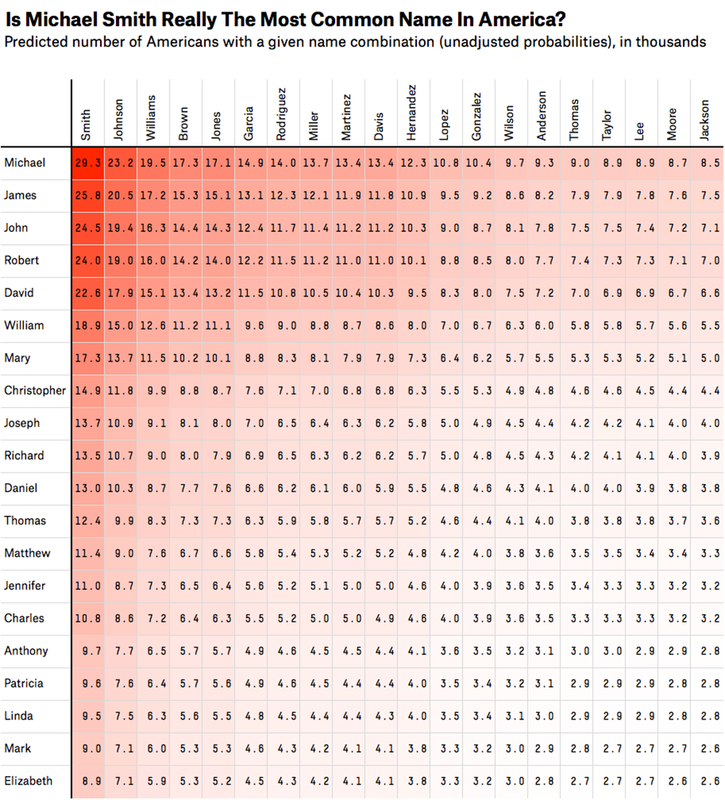 Back in November, we created a formula to figure out what was the most common name in America using data from the Social Security Administration, the Census Bureau and some basic probabilities. We just took another look at our numbers. There are approximately eight Chelsea Clintons in the U.S. compared to 279 people named Diane Reynolds. Chelsea’s alias is 35 times more anonymous, but it’s still not all that common — there’s only a 0.00008 percent probability you’ll bump into a Diane Reynolds. Not the best choice, Chelsea. Should have gone with Mary Smith — there are about 19,800 of them in America.